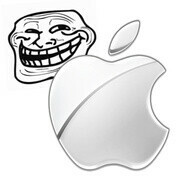 Does Sam Sung work for Apple? If the name one gets at birth can determine their fate in life, then this guy is surely born to be an internet troll. 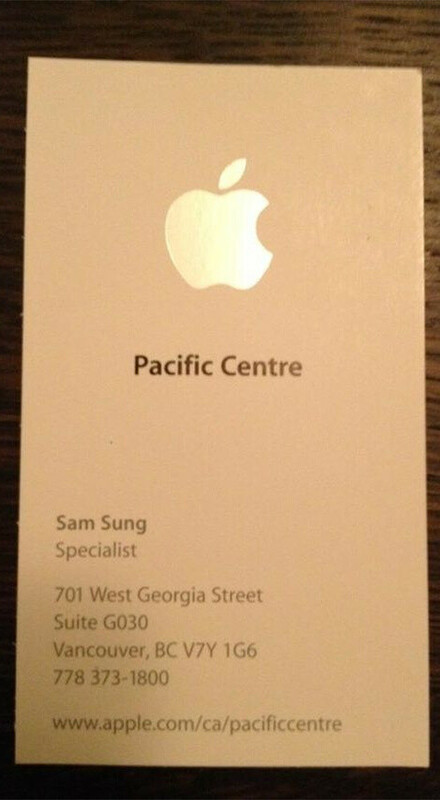 The guy in question has been blessed with the peculiar name Sam Sung and he works at an Apple Store, of all places, if what is written on this business card is to be believed. Now, could this be true, or is it just an elaborate prank? The thing is that we don't really know yet. The photo that you see here has been circulating the web for several days now, and its legitimacy has yet to be disproved. Sam definitely sounds like a proper name to us, and Sung isn't that unusual either, given the fact that a significant fraction of Vancouver's population is of Asian descent. A quick check on LinkedIn shows that there is a person named Sam Sung and he does live in Vancouver, BC. Moreover, we looked up the address written on the business card, and there really happens to be an Apple store at that location. But on the other hand, something in the back of our minds is telling us that the whole story might be fake. What do you, guys, make of it? Sound it off in the comments! I think it's the other way round... Ap Ple working for Samsung! If this is true, I find it quite hilarious. I wonder to whom his allegiance lie with? He works at the damn Apple Store. he could quit to follow his true calling. There s a guy named Apple working in samsung showroom here ..
Next thing you know the next president will be called China N. Korea. How long before he gets sued? I would think it really funny if there really is a guy named Sam Sung that worked at an Apple store and that I'm sure that it is possible, but at the same time I want to believe that this is fake and someone is truly trolling. This post was better than expected. lol.